One of the short documentaries realized by the township youths who participated to the YMM & Godmother Foundation Training Program. 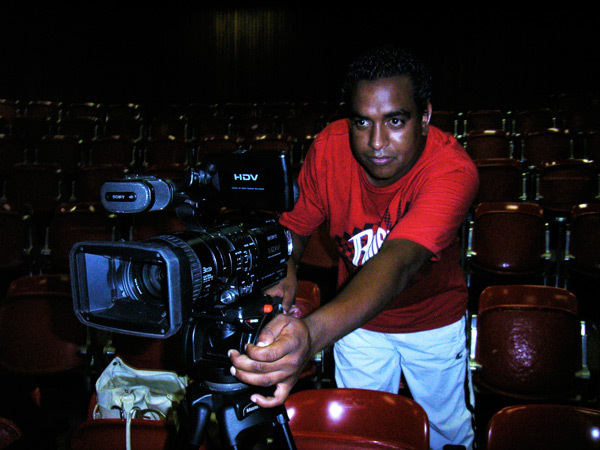 Written & Directed by Ameer Arendse, Produced by Tasneem Voterson, Camera by Mu’minah Diedericks, Edited by JodyJeffreys. 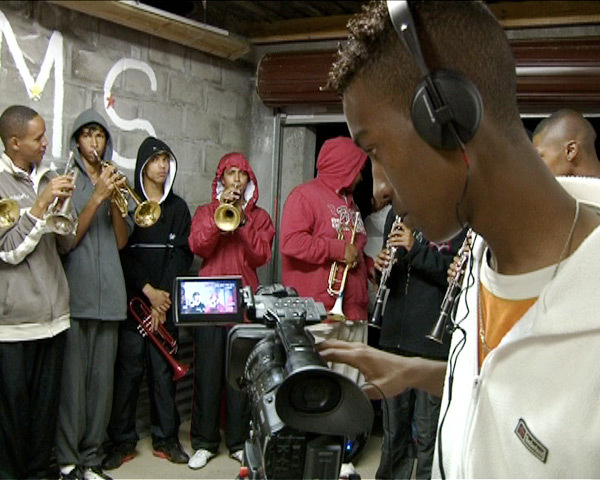 The Mitchell’s Plain Media Development Project is a long-term plan driven by South African NGO Youth Media Movement. The Godmother Foundation in partnership with Goethe Institut Südafrika and Hivos, has facilitated the start-up phase of the project. Conceived as a "model township" by the apartheid government, Mitchell’s Plain was built during the 1970s to provide housing for coloured victims of forced removal. It brought together people from over 250 different communities, all working class coloureds, who would have to travel to places of industry to work for the whites. Once a major stronghold of the United Democratic Front, the ANC-sponsored anti-apartheid body, Mitchell’s Plain is now one of fifteen areas identified as high priority for action against crime and drug abuse, renowned for its gangsterism and drug addiction amongst its youth. 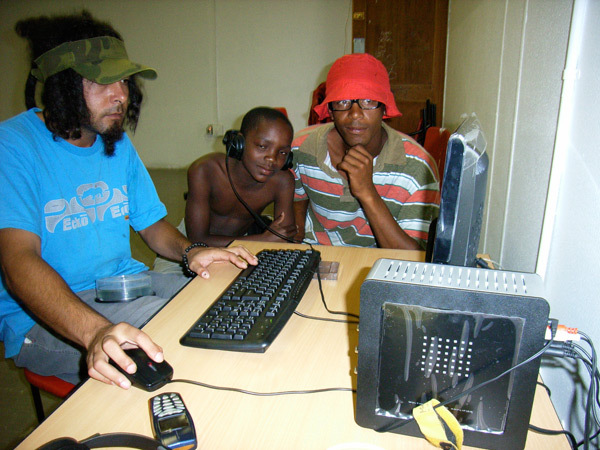 The Godmother Foundation has assisted the YMM in the creation of the YOUTH MEDIA DEVELOPMENT CENTRE (YMDC), a community based non-profit organization managed by members of the Mitchell’s Plain township. The objective is to establish an institution that can drive the development of audiovisual opportunities within the community. The Centre coordinates a long term training plan and the initiation of media-related activities and events. 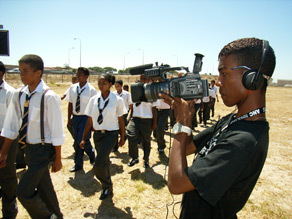 A 6 weeks training program in documentary making and TV production has involved 25 local youths. Workshops and practical exercise focused on the following subjects: storytelling; directing; cinematography; sound recording and sound design; video and sound editing; research, planning and production. During the first two weeks, the students have attended an intensive introductory course at the City Varsity School of Media and Creative Arts. 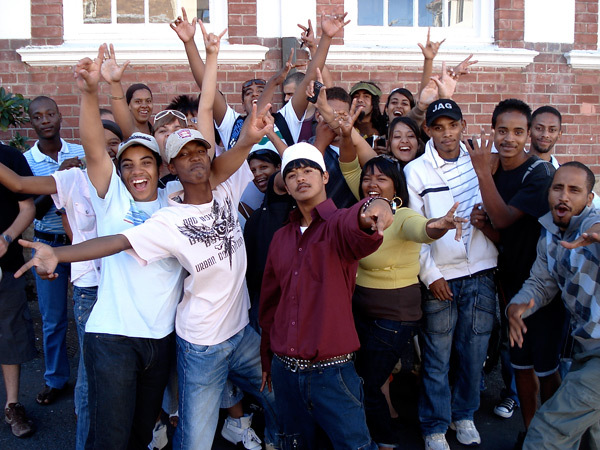 Located in the centre of Cape Town, City Varsity is a prestigious academy, mostly attended by youth belonging to middle/high class social background, with a strong prevalence of whites. The collaboration of such institution has added a crucial extra value to the project. For youth coming from disadvantaged communities like Mitchell’s Plain the chances of attending a course at a school like City Varsity are unfortunately very little. A conscious effort to bridge the gap between prestigious educational institutions and such disadvantaged communities represents to us an important step towards a concrete positive social change. 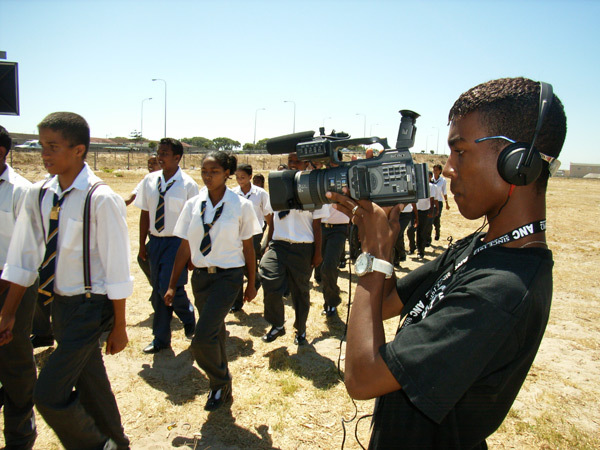 During the following four weeks the training took place in the Youth Media Movement headquarter at Glendale Secondary School. Lectures and workshops were given by professors and graduates from City Varsity, as well as filmmakers from the YMM and the Godmother Foundation. To put into practice what they had learned in the theoretical workshops, the trainees have been divided into six teams and given the assignment of developing, shooting and editing a short documentary film focused on a subject related to their community. As a result, six short documentaries have been produced by the students under the guidance and supervision of the tutors: Mitchell’s Plain Trap; Frankie’s Used Spares; Neighborhood Watch; Plain Potential; Colin’s Place of Hope; Reaching out to Empower. 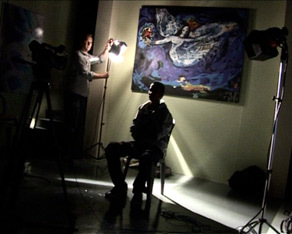 The films are part of the pilot episode of the talkshow Plain Talk. The YMM and the Godmother Foundation, supported by the YMM trainees, have produced the pilot episode of PLAIN TALK, a talkshow series whose goal is to give voice to the disadvantaged community of Mitchell’s Plain. The pilot episode of the show is a general introduction to the M. Plain township and the starting point of an open debate among its residents about the apartheid legacy, the problems of the community, its challenges but also its potentials. The pilot also offered a good platform for sharing with the audience the feedback of our talented youths in regard to the film-training program they had just attended. The first six documentaries produced by the youths are integral part of the TV program and were used to stimulate the discussion between the audience, the students and the guests. The Youth Media Movement is now busy ensuring new opportunities to the youths who have attended the first training program and raising funds to produce the full talkshow series.